Quick and Healthy Chocolate Chip Cookie Dough Recipe! 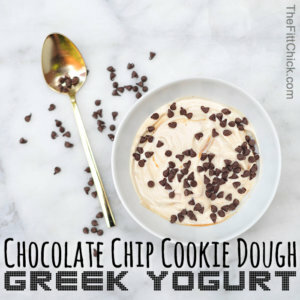 CHOCOLATE CHIP COOKIE DOUGH GREEK YOGURT! * 1 TBSP peanut butter (or any nut butter you love-I love crunchy peanut butter in this recipe)!